SYRACUSE, Utah – The Syracuse Police Department has requested the public’s assistance in locating a man missing since Sunday. 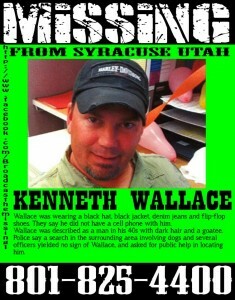 Kenneth Wayne Wallace was last seen at his home in Syracuse. A police search of the surrounding area, utilizing dogs and several officers, yielded no sign of him. 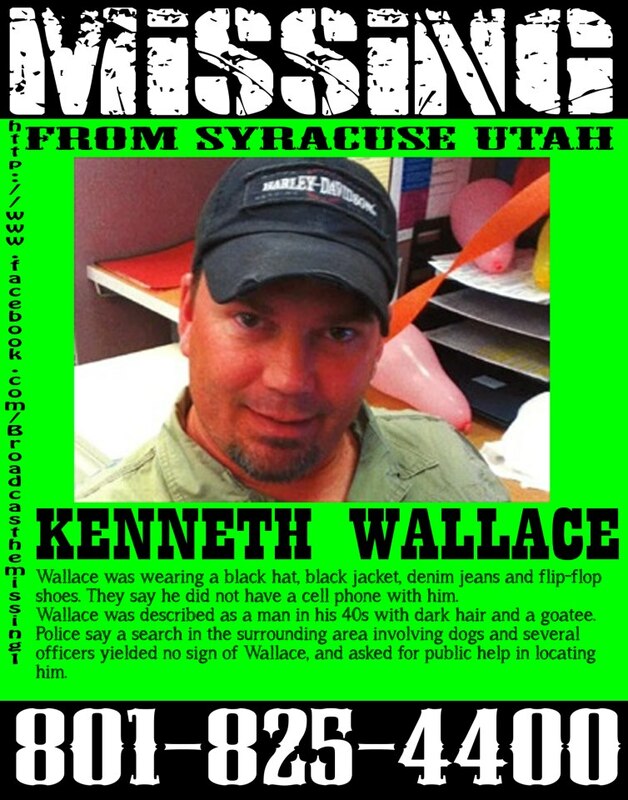 Described as a white male in his 40s with dark hair and a goatee, Wallace was wearing a black hat, black jacket, denim jeans and sandals when he disappeared. He did not have a cell phone with him and is believed to have left on foot. Wallace is currently listed as a missing and endangered person. Anyone with information on his whereabouts is asked to call the Syracuse Police Department immediately at 801-825-4400.